Santiago Castaño: Outstanding or Overrated? Everybody Soccer is back with a second edition of "outstanding or overrated" after reviewing Bill Hamid's approach earlier this year. I had trouble thinking of a new title so here we are. Now it's a reoccurring theme. Santiago Castaño is likely best known to US fans for his last minute switching to Colombia, just ahead of the 2015 U20 World Cup. Castaño had spent much time with the US's U20 program, predominantly as the backup to Zack Steffen. Even though he attended a Colombian camp ahead of the announcement, several fans were still shocked to hear his change of mind when he basically had a ticket punched to the 2015 U20 World Cup with the US. Even more confusing, he would not make the roster for Colombia and ended up being left at home by both countries. For more information about Castaño's switch, read this translated interview with Facundo Trotta. 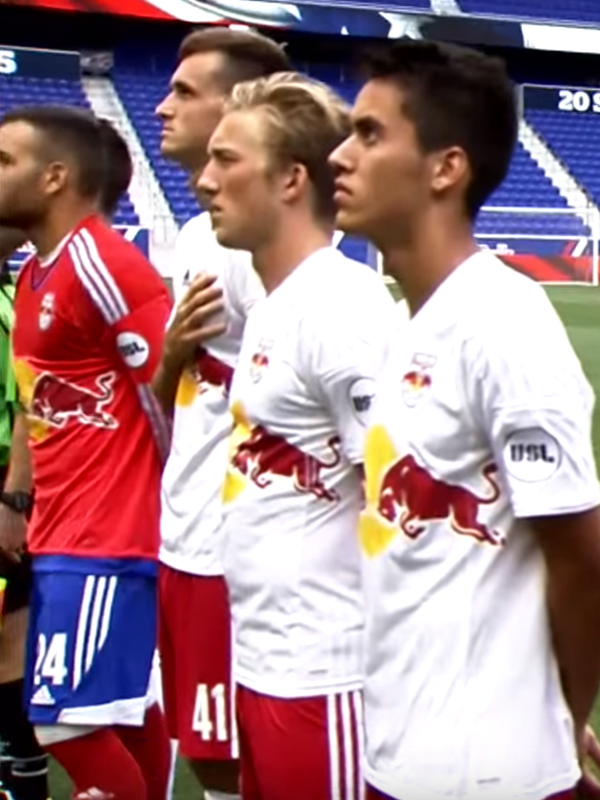 Outside of the international stage, Castaño spent this year with New York Red Bulls II, earning twenty starts in the regular season and a trip to the quarterfinals, where they lost 2-0 to the eventual champions. Let's take a closer look at this last season to break down his strengths and weaknesses. US Prospects was kind enough to have made a highlight video for the Colombian-American goalkeeper back in April. Castaño possess a fierce mindset as well as quick reactions and above average distribution. He is not afraid to attack on a 1v1. He showcases an above average side volley and good throws from his hands. He strongly favors his left foot in kicking and generally knows how to locate a teammate in a positive space. He has good experience on the youth international stage and skipped the college route to join the New York Red Bulls, a system that has done good job of developing young goalkeepers. There are quite a few worrying issues with Castaño's play. First, while he is listed as 6'2", he most definitely is not. On the left, he is walking away form Mike da Font (6'0.5"). On the right, he is standing next to Konrad Plewa (6’3”) and Colin Heffron (6'0") is the blonde player the next one down. Castaño is most definitely not over six feet tall and could possibly be 5'11". Yes, you can be a short goalkeeper and become a professional, but there is a reason why there are more goalkeepers taller than six feet instead of shorter. Additionally, Castaño does not display the explosiveness you'd like to see from a short goalkeeper. In the 3-0 loss to Pittsburgh, he concedes three goals that all could have been saved had he had more explosiveness in his spring. On the opening laser, he can only rotate for the shot he is clearly unprepared for. Notice how his right leg is receiving much more spring than his left. His left knee doesn't move that far vertically and the right leg is recoiling more from the power. The overpowering motion from his back leg gives Castaño's body movement a teeter effect (as seen with how high his right left comes off the ground). The movement is similar to goalkeeping great Oliver Kahn, although not unique to the German, but Kahn pushed off equally with each foot to create the needed lift that comes with getting his body so parallel to the ground. (I wrote more about Kahn's technique here.) 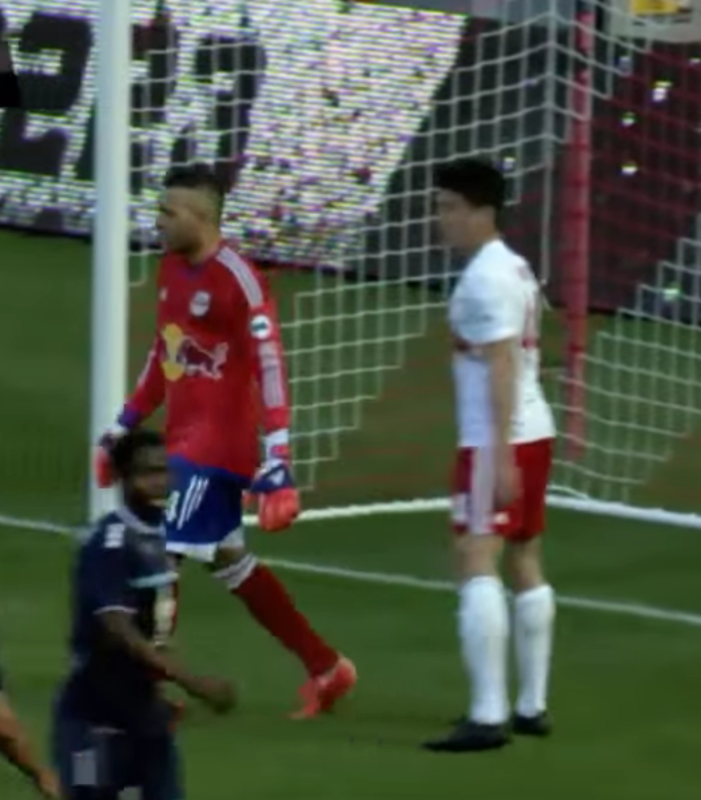 The next two goals are within Castaño's grasp but the dive doesn't come from a bigger issue. I have not been quiet on my distaste of Howard's wide stance and Castaño gives us another example why it's not a good idea. His set position, one that is routinely slow and late to occur, is employing a wide stance that does not allow him to step towards the ball when it is shot unless he rearranges his feet, which happened on the first goal when he stepped away from the ball with his lead foot. It's a huge jump to get set and when he finally does, the ball is half way to him and his feet are too wide for him to step towards the ball. All he can do is roll backwards, which is what he does. If he is in time with the shot and in a position to actually move towards the ball, he can make the save instead of stare at the ball hitting the net. A very similar situation happens on the next goal. There's more to say about Castaño. His wide stance kills his lateral movement and his post-to-post time is slow. He opens up his five-hole too much. (He's megged in the Wilmington game, video above, as well as Richmond fairly easily.) He is on his heels far too often. His 1v1 approach is wild and not intended to play percentages while utilizing some hybrid of a crab stance while he waits for players to get closer (see red card in Wilmington game). He's not particularly great in the air. He also is very reluctant to use his right foot for distribution. Cody Cropper has shown us how hard it is to develop with bad mechanics. Can it be done? Sure, but it's not likely. For Castaño to continue to grow, he needs to revamp his entire approach to the game. His time with the USYNT means nothing. Several goalkeepers have gone through the USYNT scene only to amount to journeymen backups and that's the path Castaño is on if something doesn't change soon. While twenty sounds young, he has been playing a certain way for some time now. He is becoming less moldable and some of his peers - sophomores in college - are already ahead of him.